Working with David he is focused on building a better relationship with your horse. It’s about understanding and developing a shared language and building true communication and connection. David concentrates on building your confidence, helping you to become a respected and trusted leader. From working with his own horses, David has been influenced by his fascination with Vaquero style horsemanship & old style classical dressage training. Vaquero style horsemanship refers back to the Spanish tradition of working & riding horses using a traditional handmade rawhide Hackamore. David believes in using the traditional Cavesson and bamboo to develop a relaxed balanced posture that is critical for every horse. David is one of the few trainers who has developed a program in Australia which gives students a clear plan on how to support and develop their goals for both horse and rider. Following this format students have achieved great results and have become more motivated to continue their journey. David not only understands the language of the horse, but he has a strong ability to transfer his knowledge and skills to you in a way that it is a truly positive, rewarding and empowering experience. Most important of all, David has a genuine interest in your horse and your personal progress. He provides you with knowledge and skills that help you to grow and develop into a true horse(wo)men. Regardless if you are just at the beginning of your journey or training to get your next blue ribbon, working with David will add real value to your own journey with your horse, so you can learn to be your horse’s perfect partner, and your horse to be the perfect friend. David recently became an accredited Australian National Working Equitation level B judge for Maneability. He believes this is a fantastic sport and is planning on incorporating this training into his teaching in the future. 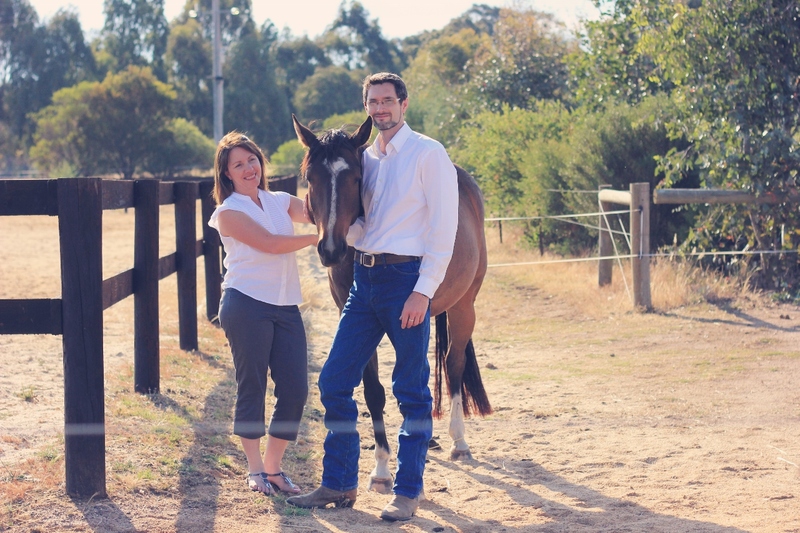 David works from his training facility at Lake Eppalock where riders and horses find an ideal environment which drives learning and development. He is also sharing his knowledge in clinics and private lessons across Australia. Location 2401 Strathfieldsaye Rd Eppalock.